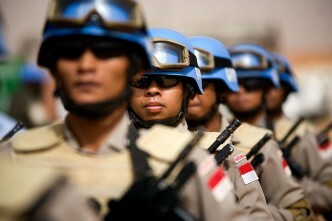 Australia and UN peacekeeping: comfortable complacency? Last weekend, Australia commemorated 67 years since it deployed its first peacekeepers under UN auspices to the Dutch East Indies. Since then, over 30,000 Australian military and police personnel have participated in UN peace operations. It’s a history Australians can be proud of. But there’s a risk we’re becoming complacent about peacekeeping. Our commitment of personnel and capabilities to UN peacekeeping has declined over the last decade. At present, there are approximately 44 Australian military and police personnel deployed to peacekeeping missions in Cyprus, the Middle East and South Sudan. We’re considered a small contributor for a country of our size and global reach, ranked 83rd out of a total of 123 countries contributing approximately 100,000 military and police personnel. At the same time, the operating environment and nature of UN peacekeeping operations has undergone rapid changes. The August edition of Australian Army News described ADF participation in UN peacekeeping as ‘minor operations’. 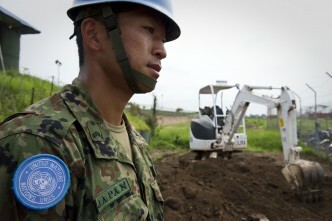 ADF deployments to UN missions may be small in number, but referring to them as ‘minor’ does not assist in debunking misconceptions that peacekeeping is merely a holiday from more intensive war-like operations. Some of the traditional ‘observe, monitor and report’ peacekeeping missions established before the end of the Cold War may have been less demanding. But few of those missions exist anymore. Even those that do—such as the UN Disengagement Observer Force (UNDOF) in the Golan Heights—are facing unconventional threat environments. UN Secretary-General Ban Ki-moon has said that ‘UN peacekeeping operations are increasingly operating in more complex environments that feature asymmetric and unconventional threats’. The last month tells a compelling story. UN peacekeepers have been detained by rebel groups, killed and injured by improvised explosive devices, and lost their lives as a consequence of a UN helicopter purportedly being shot down. Peacekeeping missions are now being deployed into environments with raging inter-communal violence, no clear political processes, lack of governance and limited state infrastructure. In some contexts—as we’ve witnessed across the Sahel and Somalia—those environments provide the conditions for terrorist organisations and militants to flourish if there’s no response. Complex mandates and operating environments mean modern-day UN peacekeeping missions often resemble operations in Afghanistan, only without NATO’s military capabilities. Most major troop and police contributors to UN peacekeeping missions come from South Asia and Africa. While they have institutional experience as peacekeepers, they aren’t deploying with the high-end capabilities and enablers that missions would benefit from. The UN’s head of peacekeeping, former French diplomat Hervé Ladsous, stated in June that peacekeeping cannot reach its ‘full potential if those with the most significant capabilities choose not to participate’. Some European contributors have started to re-engage in significant numbers. In the UN Multidimensional Integrated Stabilisation Mission in Mali (MINUSMA), the Dutch have committed Apache and Chinook helicopters, along with over 450 military personnel. With the drawdown in Afghanistan underway, UN officials may have assumed that countries with more substantive capabilities, like Australia, would seek to re-invest in peacekeeping. 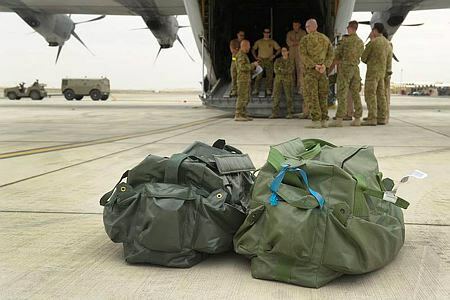 Australia’s provision of one C-17A Globemaster and one C-130J Hercules to the UN Mission in South Sudan (UNMISS) in December 2013 enabled the UN to move urgently-needed supplies into the mission. 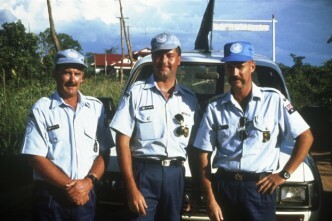 It was a high-value, low-cost investment that aided thousands of civilians on the ground and provided the RAAF with UN operational experience. But the government hasn’t provided any further strategic airlift since. As the operational environment of UN peacekeeping missions becomes more complex, there’s a risk that limited engagement will slowly erode Australia’s understanding of those environments. Even though our term on the UN Security Council has improved understanding across government about UN peacekeeping, it’s no replacement for experience garnered on the ground. Furthermore, there’s a risk that Australia’s diminishing experience serving in UN peacekeeping operations may result in lost opportunities for defence and policing engagement in our immediate region. Peacekeeping is becoming a respectable source of operational experience for our neighbours. Peacekeeping training provides a means to engage countries with which we may want to broaden our cooperation, including India, China, Japan, Indonesia and Fiji. 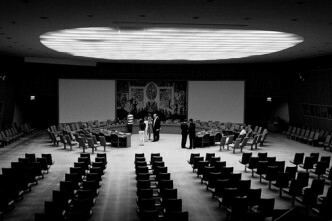 But in order to do so, we will need to maintain our credibility as a UN peacekeeping contributor. Deployments of personnel and equipment to UN operations are not the only way of doing that, but they’ll continue be the most highly regarded. With attention now focused on Australia’s military contribution to combat ISIL in Iraq, future engagement in UN peacekeeping is unlikely to be a priority consideration. But given that our history of UN peacekeeping engagement has demonstrated that it supports our national interests, as well as those of the international rules based system, we should be giving it more thought. Lisa Sharland is an analyst at ASPI. Image courtesy of the Department of Defence.